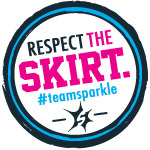 Road Runner Girl: Princess Half Training Week 8! On my schedule this week was 8 miles. Andria isn't doing this next race but she promised she would train with me! My friend Jennifer joined along this week too! It was a very cold morning! The temps were in the low 30's. We had on layers and didn't remove any of them the entire run! I also had a very sore throat and bad cough (joys of being a preschool teacher of snot making machines lol). It hurt breathing in that cold air. Felt like fire going down my throat and chest. 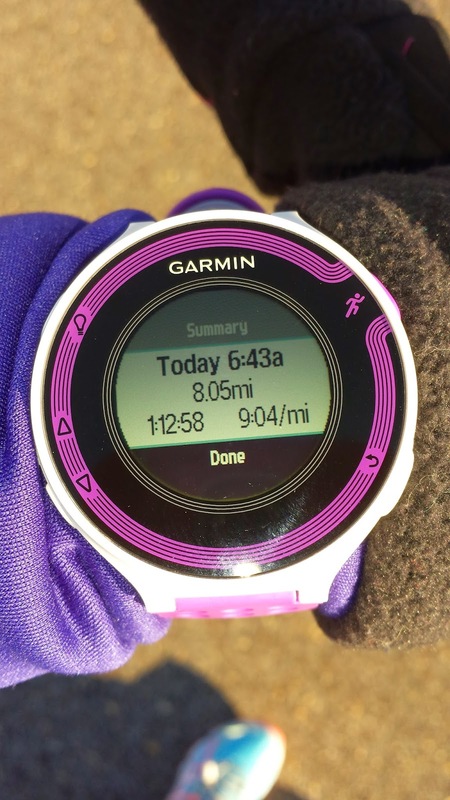 I considered stopping at a mile but knew I would be so mad at myself if I didn't do the long run. 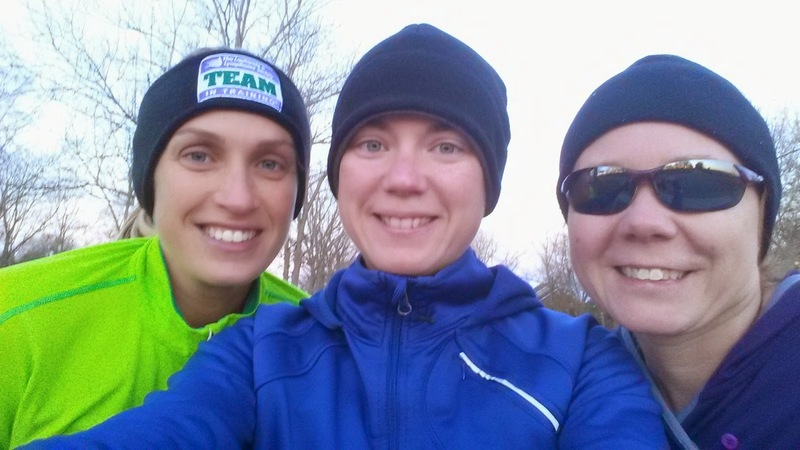 Our other sisters were running 13 miles that day (these were the ones who didn't race last weekend). So we decided to run the last 8 miles of their route. They included us in their last water stop. Well I was in charge of the route and letting everyone know where to go. I'm usually amazing at this! But this day...I was awful! I didn't look at the map very well before the run because I looped us in a neighborhood that we weren't even supposed to run in. And I thought the water stop was at the entrance of that neighborhood. But guess what? It wasn't! Luckily I had my phone with me and could pull up the map. We had to keep running to another neighborhood where the water was. We were supposed to loop that neighborhood but since we had looped the other one we skipped it. The last few miles of the run we picked up speed. I think we were all just ready to be done. My legs were tired and I was cold and my cough and throat were on fire. 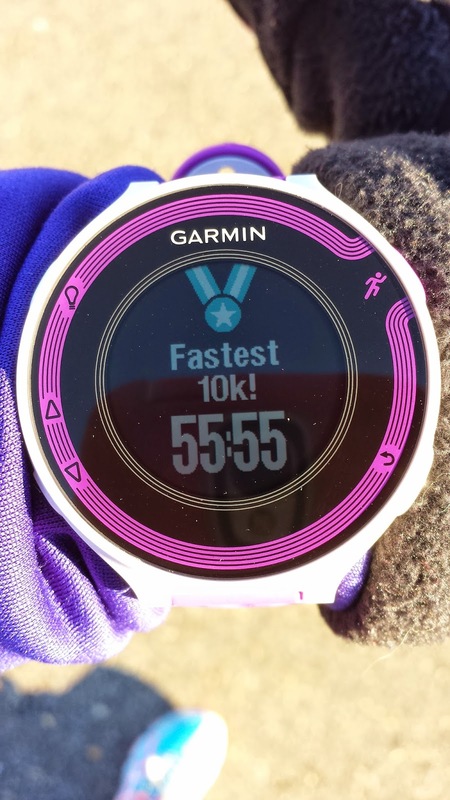 Once we stopped my new Garmin gave me another new record for fastest 10K! 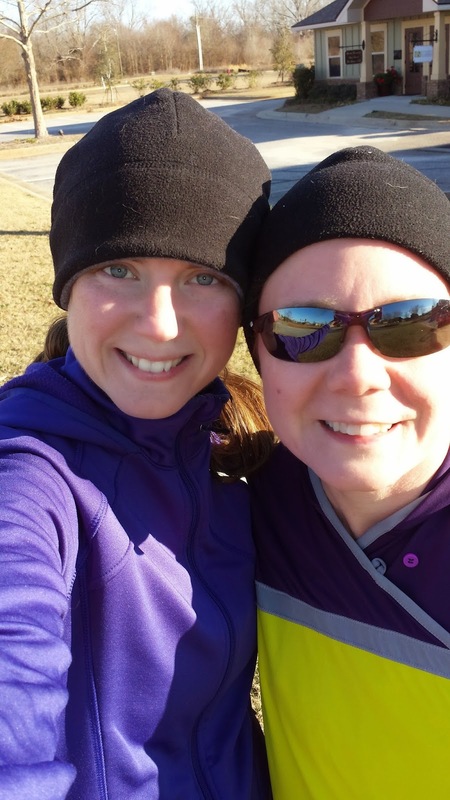 As always, I enjoyed running with Andria! And it was great having Jennifer with us too! Of course Andria and I had to take our routine picture after our run! We were really speedy for this run! And I think my legs didn't like it very much after running a half marathon the week before. My left quad was on fire after the run. It hurt for the rest of that day and was sore for the next few days. I've been icing it and rolling it and that seems to have helped. So hopefully it's just a tight muscle that took longer to recover and won't give me any more problems. Fingers crossed! 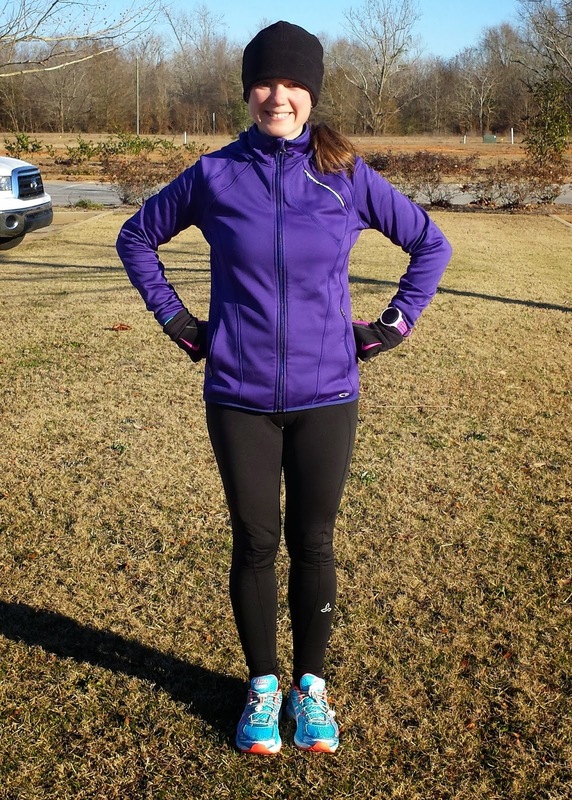 QOTD: What is your must have running gear for winter? Don't forget to enter my giveaway for some Tiux Compression Socks!! !